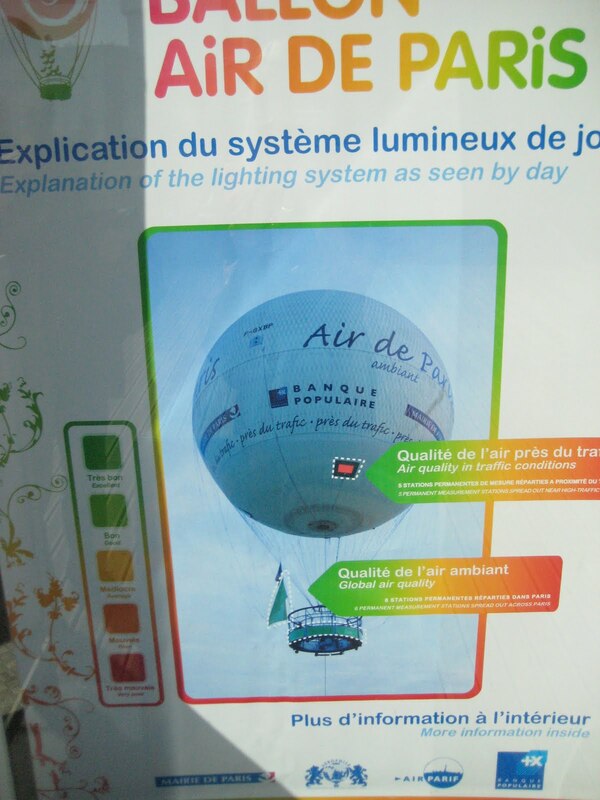 This weekend, I came across this giant air balloon in one of the parks here in Paris. 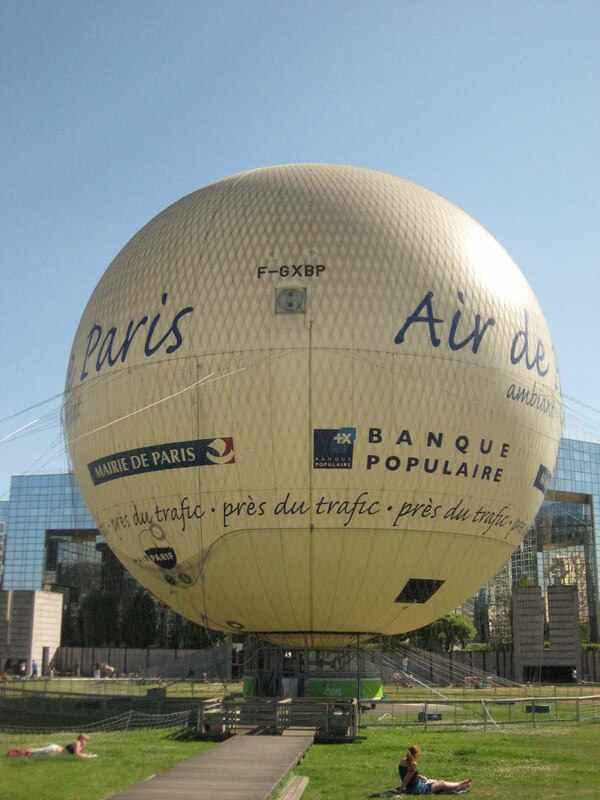 In the middle of André Citroën park this huge balloon sits on the lawn waiting for tourists to take a ride. The balloon is 150 meters high and has 6000 cubic meters of helium. Paris is always full of surprises, and this was yet another. I never would have imagined that I would have come across a giant air balloon when walking through a park! Unfortunately, the balloon was closed due to high winds the day I found it. I will have to go back sometime and take a ride!